THE Parades Commission have placed a number of restrictions on tonight’s Tour of the North parade. 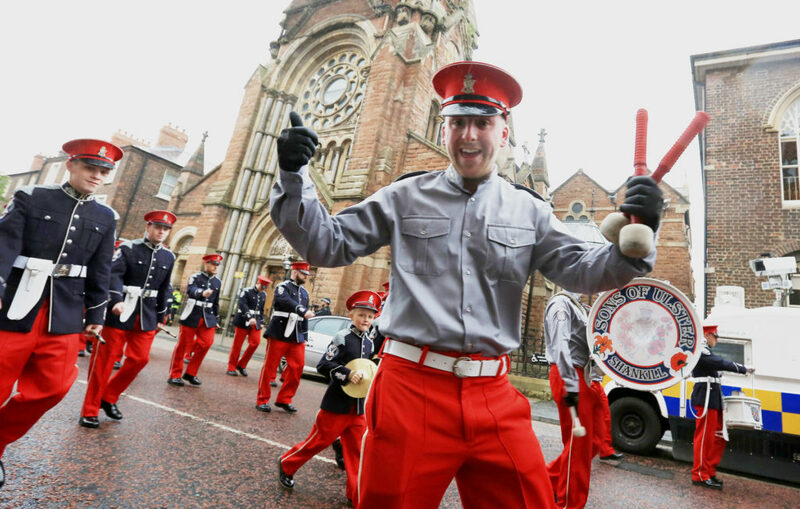 Six hundred participants, including eight bands, will take to the streets of North Belfast on Friday night for the annual parade. Organised by the Belfast lodges of the Orange Order, the parade is scheduled to commence at 7.30pm from Denmark Street and to disperse at 9.30pm, also from Denmark Street. It is prohibited from entering the part of the notified route along Cliftonpark Avenue beyond Alloa Street, Cliftonville Road, Antrim Road and the section of Duncairn Gardens between Antrim Road and Edlingham Street. Only a single drumbeat shall be played and no supporters are permitted to accompany the parade on the part of the notified route between the junction of Union Street and Donegall Street and the junction of Clifton Street and the Westlink. The Parades Commission determination read: “Having considered all the evidence and advice available to it, the Commission has determined that conditions should be placed on the parade. “The Commission believes that should the parade process the entirety of its notified route at Cliftonpark Avenue/Duncairn Gardens, there may be an adverse impact on community relations and a potential for public disorder. The notified outward route is Denmark Street, Carlisle Circus, Crumlin Road, Fleetwood Street, Hopewell Avenue, Crumlin Road, Florence Place, Oldpark Road, Manor Street, Alloa Street, Cliftonpark Avenue, Cliftonville Road, Antrim Road, Duncairn Gardens, Edlingham Street, Mervue Street, North Queen Street, York Road, York Street, Donegall Street, Clifton Street and Carlisle Circus before dispersing from Denmark Street.